Accentuate your figure! Maevn Blossom women's mock wrap top with princess seams is crafted to give a flattering silhouette. 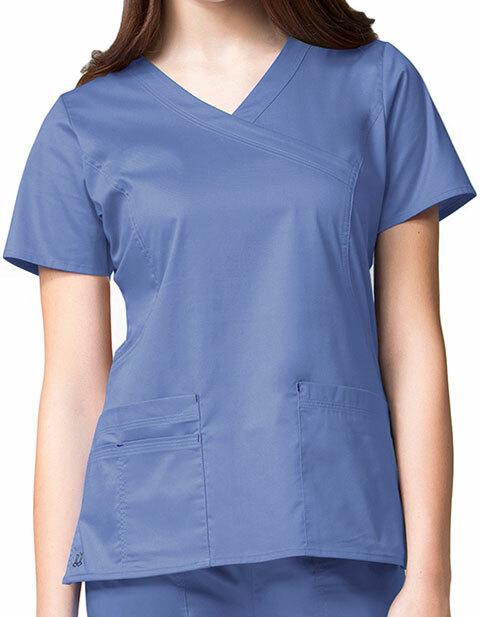 Tailored to perfection, the top is equipped with multiple pockets for added functionality.